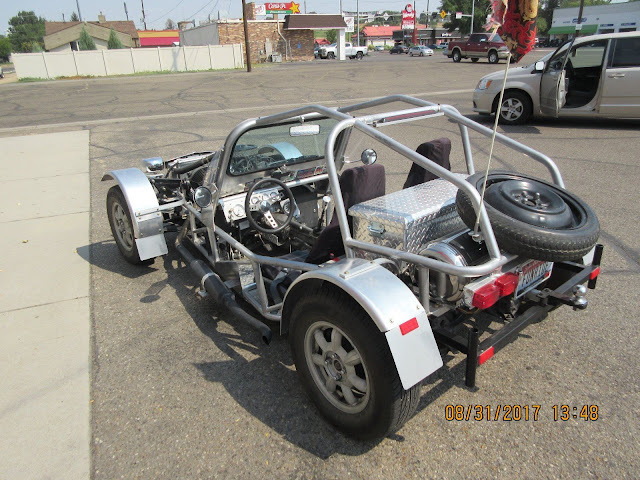 I have a friend who purchased and assembled a Caterham replica of a Lotus 7 for driving on US roads. For the sake of anonymity, I will call him Dwood, and this next post is dedicated to him. 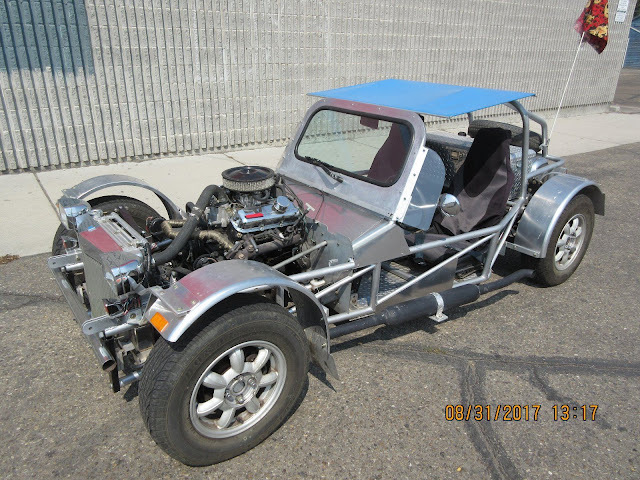 I won't say how much Dwood spent on his Caterham, but I'd bet a Buick Roadmaster that it cost more than 10 times the starting bid on this next...ummm...thing...which begs the question...is this car more than 1/10th the experience/fun/death of a Lotus 7? 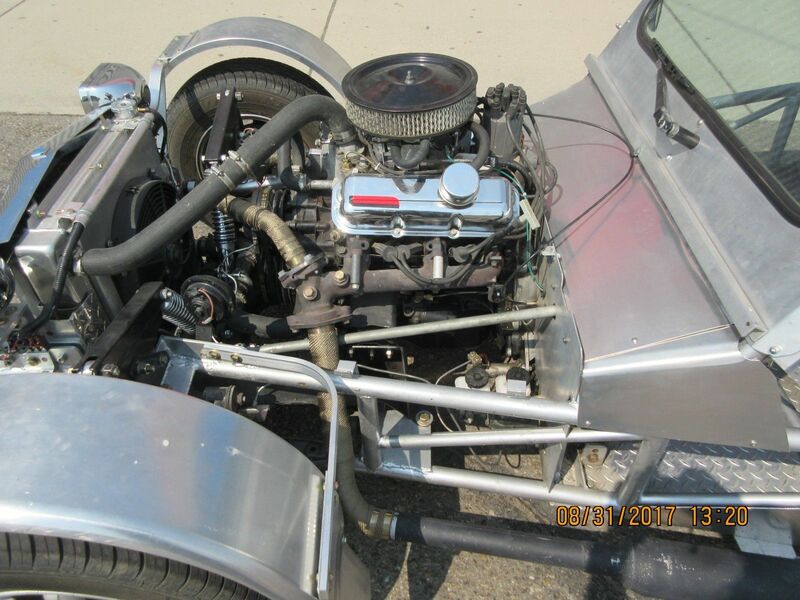 Find this 1980 Custom Built Roadster offered for $5,200 starting bid with $7,200 buy-it-now here on eBay located in Caldwell, ID. I am reluctantly putting my roadster up for sale… and ONLY because I need funds for my newest project. Serious ONLY! The cage portion of the chassis was welded up and titled as special construction in 2000 with an assigned VIN. I COMPLETELY re-built it in 2013. I have a clear Idaho title in my name. I call it my “Adult Go-Kart” for the street. It corners and handles like a go-kart or a slalom racer! The suspension, steering, brakes, differential & axles are all Mazda Miata but I replaced the struts with double coil-overs on the rear and race style rocker-arm suspension and coil-overs on the front. 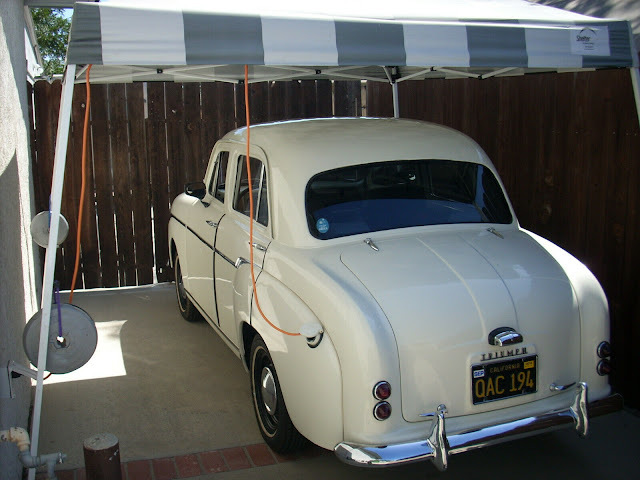 It rides very smoothly, almost NO lean in the corners due to excellent sway bars. It RUNS very well and handles EXCEPTIONALLY! It has less than 4,000 FUN miles since completion. It has been in several car shows in Colorado, Utah, & Idaho including Emmett Show & Shine and Payette in the park. Always draws lots of attention due to it being quite UNIQUE! You may have seen it with blue fiberglass body panels which do come with it… BUT I like it much better with just the aluminum cowl and windshield as shown in the photos. The engine is a crate 2.8V6 GM which could be put in a 1987 Camaro or a 1980 Chevy Citation which is how it is currently set up with a re-man 2 barrel progressive carb & standard vacuum advance distributor With coil ignition which makes it emissions exempt in Idaho. It is mated to a 1985 Camaro T-5 manual trans giving you a 5 speed with overdrive! A custom driveshaft connects the transmission to the Mazda Miata differential. 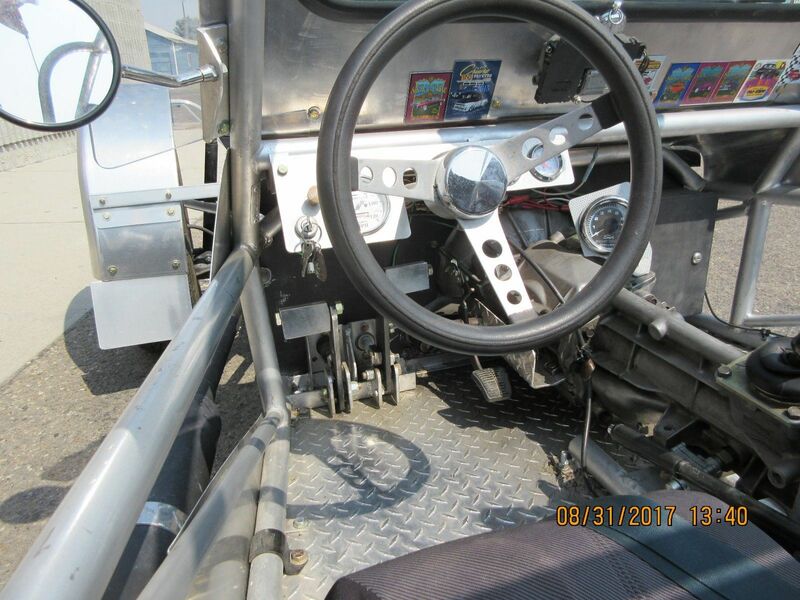 crate long block, carb, starter, water pump, alternator, flywheel & clutch, brake rotors & pads, custom aluminum radiator & electric fan, tires, gauges, switches, etc. It has hydraulic clutch & brakes plus a hand parking brake to be legal. It is well engineered and a quality build. It weighs about 1700 #. The “parts” to build it cost almost what I am asking for it with nothing added for my 800 HOURS to build it! It is locked in a garage in Caldwell, ID, and I am happy to show it to any SERIOUSLY interested person who has the CASH! There are lots of PHOTOS that show the details and will answer most of your questions. Please call Bob with any questions at 208/249-4567. I reserve the right to cancel this auction at any time as it is for sale locally. It seems that E-Bay's automated system only recognizes standardized 17 digit VIN numbers issued by major manufacturers as required since 1981. Assigned VIN numbers, issued by the various states on special construction vehicles, are not required to follow the standardized 17 digit format. Assigned VIN numbers are common and are accepted by DMV's all the time. This Roadster was issued the 13 digit VIN in 2000 and I have a clear Idaho title in my name, title says it is a 2000 year with the 13 digit VIN as listed. E-Bay will ONLY allow me to list it as a pre-1981 because it's VIN does not follow the standardized 17 digit format. It was issued the 13 digit VIN in 2000 and has been titled and registered in Indiana, Kansas, Colorado and now Idaho with no problem. Too bad he didn't put a Lotus 7 body on it: then he would have NO problem selling it! The tow ball is a nice touch. My main question is, if it only has 4000 miles on it, why did he need to rebuild all of the mechanicals? Also, I realize that a pair of tightly wound rubber bands would provide decent motivation for this thing, but the crap exhaust manifold makes it really look like he didn't even try to make the engine any better than a junkyard-found lump from a malaise-era beater.